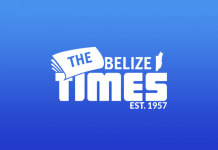 Visitors who travel to Belize to personally experience her pristine beauty and natural wonders return home with living footage of psychedelic macaws, awesome Mayan Temples, diverse flora, majestic fauna, Rayleigh blue, and gorgeous waterfalls, all nestled in the Belizean hospitality. Alas, as the cerulean blue transforms to photogenic and orange crepuscular rays, the reality of the natural stresses are hidden in plain sight. The low angle of the sun as it approaches the horizon tells an almost forensic tale of human activity on earth. The atmosphere is often obscured by volcanic spews but our civil twilight is not as natural. Human deforestation done to lay highways and the construction of buildings and the agro industry and pastoral farming comes at a price not paid at the supermarket cashier. So when we are awed with the beauty of red and orange of impending night, we are witnessing wind raised dust, vehicle exhaust, and industrial emissions. Many a photograph is taken to fortify the memories of our visiting friends. The natural and also powerful cousin to the atmosphere, the oceans, also carry proof of human lifestyle that is self-destructing with even an infinitesimal change. The mentioned visitors both snorkel and fly. During the latter, they will observe plumes of chocolate milk coloured water in meandering rivers, and at discharging mouths all aimed at the unassuming corals. This sediment hides the sun from the coral or literally chokes these minute tentacled animals to death. On their side, snorkelers may notice floating plastics, bleached coral reefs and increasingly the lack of marine fauna. Upon returning to shore, lately, they experience an orange material on our Belizean beaches not unlike on the beaches of the Yucatan Peninsula. With lesser luck this material can be of foul smell and leave the visitor with a depressing attitude about the Belizean jewel. The orange material is Sargassum, a brown macroalgae. Numerous species are distributed throughout the temperate and tropical oceans of the world, where they generally inhabit shallow water and coral reefs, and the genus is widely known for its planktonic species. There is an entire area in the Atlantic Ocean called the Sargassum Sea. Now due to increasingly fertile waters, they are spreading out of their normal niche. Some countries of the world release fertilizers not only unto their agricultural fields but this is leached and runs off, also, into the oceans. Our environment does NOT respect our political borders. The latest surge of Sargassum near the Yucatan Peninsula is from near Brazil placing the onus on their agricultural practises. The Belize Tourism sector certainly cringes when it hears of this brown macroalgae coming onto our shores and beaches. Like Kriol seh, “Dah notin nice!” They are like Trump when he is informed of a caravan approaching the US border. Emergency! Cleaning the beaches is nothing new to our beach-front resorts, but lately it seems that the invasion of this species is disrespectful. It is even a part of our weather report. The algae is used by some in agriculture and filling up land but it is too expensive to keep up with, not to mention foul-smelling. An FB page Alerta Quintana Roo: Vienen 500 mil toneladas de sargazo de las aguas de Brasil, lo que podría generar un caos en Quintana Roo y en el turismo. The Quintana Roo shores and San Pedro, Ambergris Caye is the same geographically. Similarly, the currents do not separate at the boundaries. The concerns had by our friends further up north in the Mexican Riviera are our similar concerns: There is concern on the tourism sector in Quintana Roo. Issues such as sargasso, insecurity and lack of promotion have not been properly addressed by President López Obrador. A Mexican inventor has developed recyclable organic sports shoes made from old plastic bottles—with added seaweed, the Televisa Quintana Roo TV channel reports. Jorge Castro Ramos has been experimenting with making shoes out of old bottles for years, but recently hit on the idea of processing sargassum seaweed for the soles. “We’ve been dreaming of making ecological footwear for nine years now. It’s taken four or five years of trial and error to make this patented Mexican fibre from plastic bottles, and then six-eight months ago we managed to make ecological organic footwear with Sargassum,” he told reporters in the Cancun holiday resort on the Caribbean coast. Mr. Castro has patented the clothing-grade fibre obtained from the bottles, and received certification from the official Ciatec Centre for Applied Innovation in Competitive Technologies. That is welcome news there, as hundreds of tonnes of Sargassum have been washing up on its popular tourist beaches every year, threatening the fragile coral reefs. Last year he began working with Sargassum, eventually managing to create a sole containing 100g of the seaweed, with five-eight plastic bottles needed for the water-resistant uppers. Mr. Castro reckons the shoe may last up to two years, after which owners can return them to his Renovare Ocean Company for recycling. This is not the first business to try to put the seaweed to practical but environmentally-friendly use. One businessman has already built three houses out of Sargassum and adobe bricks in the town of Puerto Morelos, and plans to build a hotel with them in the resort of Tulum, the Riviera Maya News site reports. Is Belize poised to take advantage of this phenomena? Would we rather that Brazil and other nations curb their use of fertilizers in order to stop the influx of this algae? Are our current ministries poised to deal with this other than photo opportunities? Time will tell. Our tourism sector is the barometer.